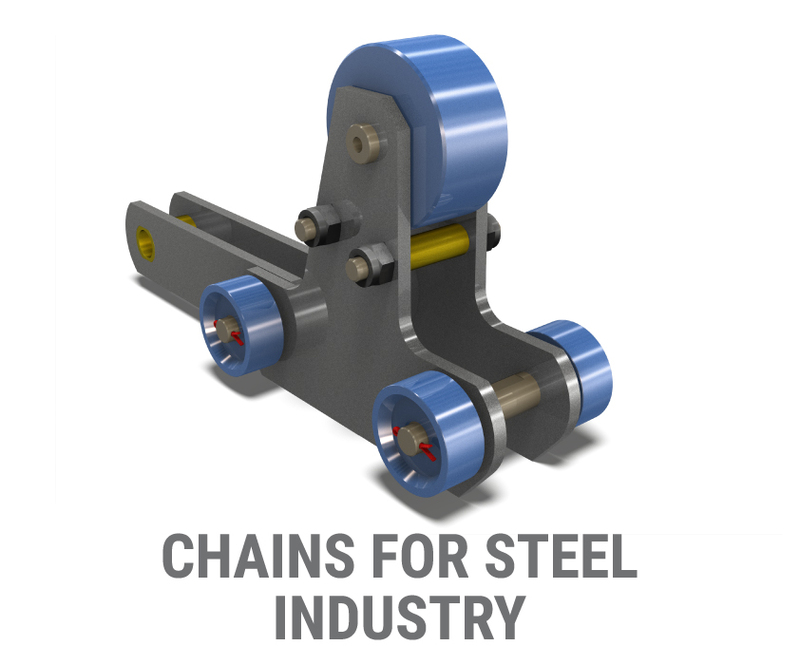 The chains have strong revited pins and increased cementation depths, to ensure more efficient application on production systems, with frequent stop and go. They are resistant to extreme mechanical stresses and to hostile atmospheric environments. 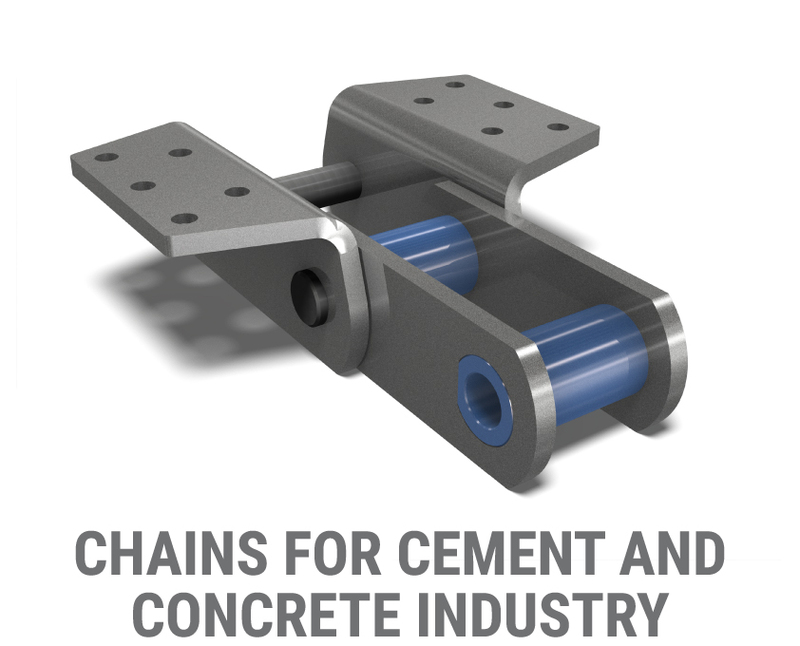 Resistance to abrasive dust and reliable, superior quality chains with higher mechanical characteristics, to ensure longer lasting and strength. 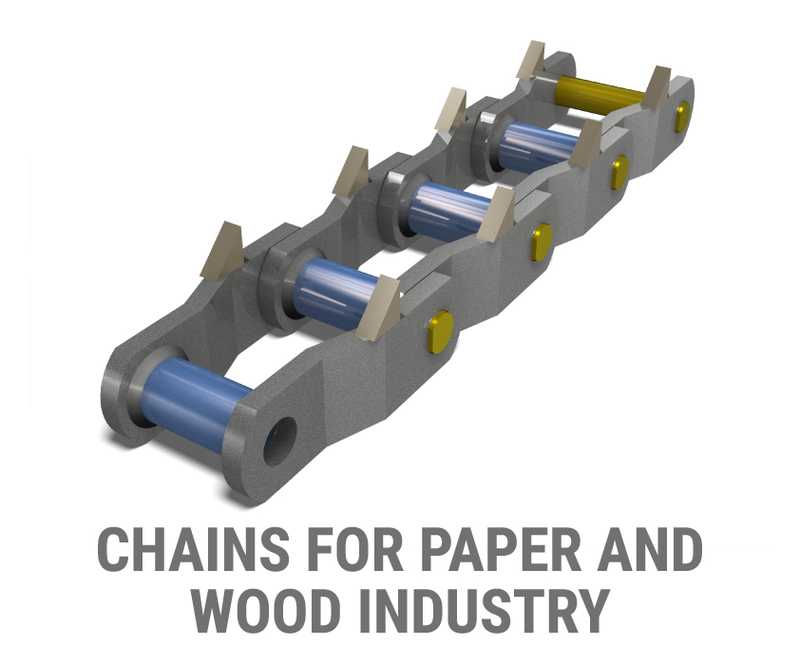 The chains can stand up to high temperatures, wear-resistant to abrasive agents and to high mechanical stress. They are built to last long, even in harsh environments. The ideal solution for motion transmission and mechanical power. 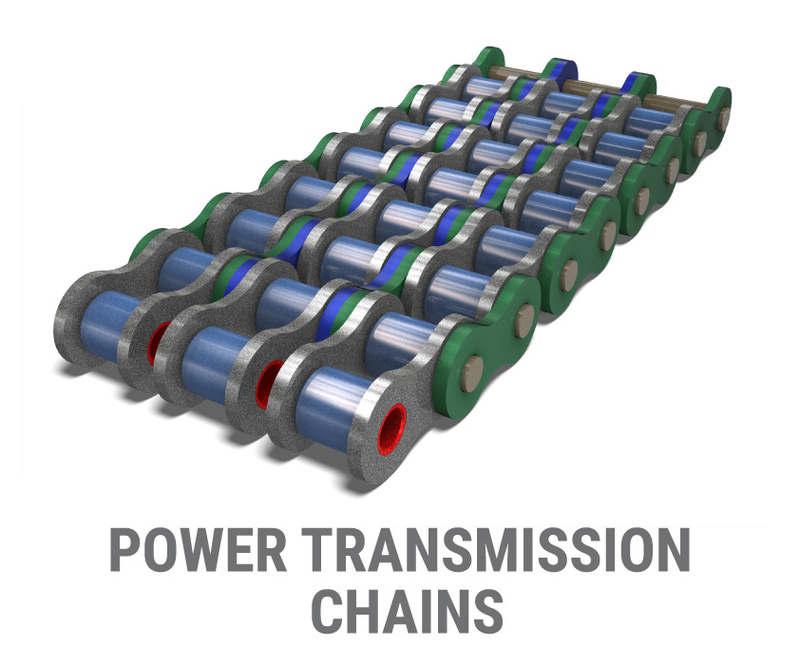 The transmission chains are extremely versatile and long lasting. They are designed to respond optimally even to shock loads or to eventual stop and go. Safety, reliability, wear resistance. 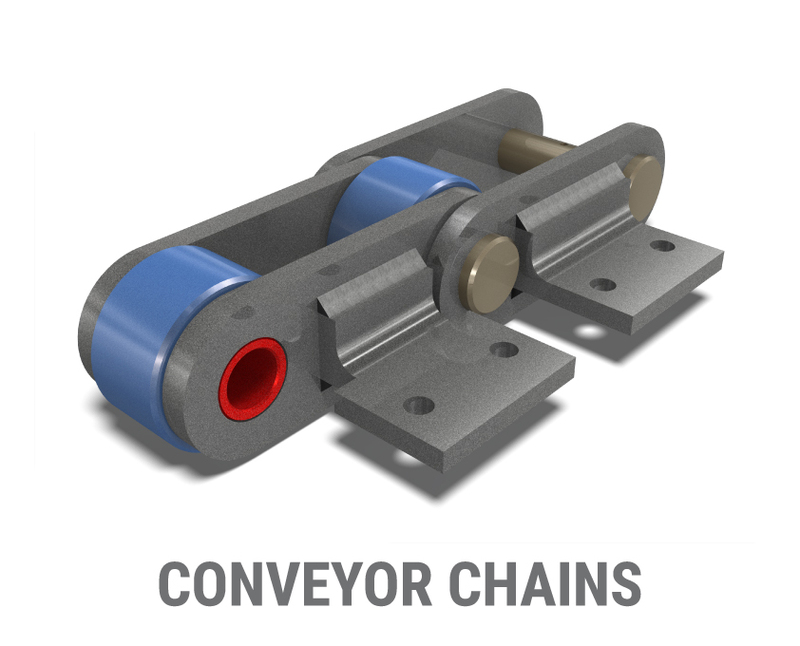 The conveyor chains are the best handling system for every kind of material and industrial sector: from cement plants to food products conveying, from escalators to chemical plants. 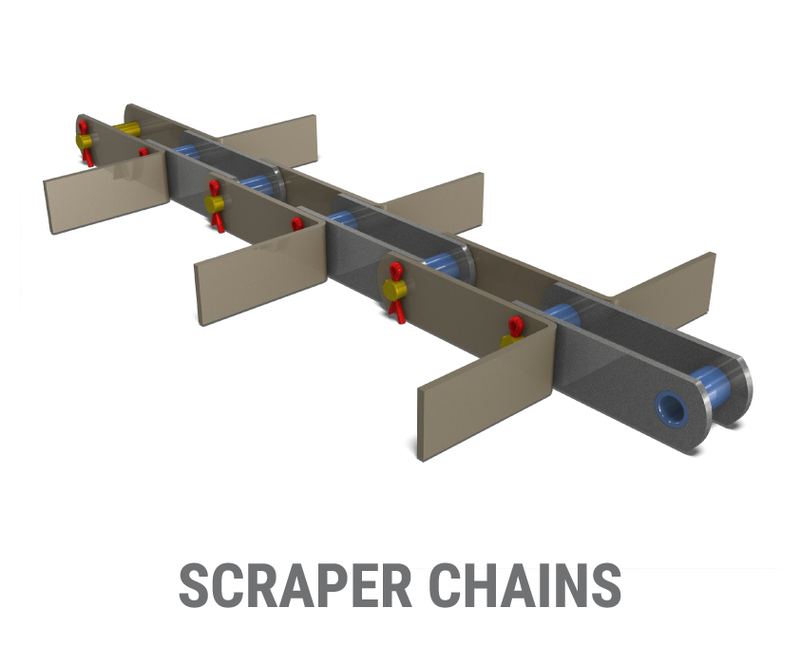 Particularly strong and wear resistant, scraper chain are made for conveying granular, powdery or liquid materials, which are often abrasive materials. The precision in the construction, the choice of the suitable materials and of the heat treatments, cutting-edge technologies are the warrant for longer lifetime and constant performance.